Mr. Montalbano is a Managing Director of ECS with over 25 years of investment banking experience in the energy and industrial services industries. Over the course of Mr. Montalbano’s career he managed or co-managed over 110 successful transactions totaling greater than $10 billion of transaction value. 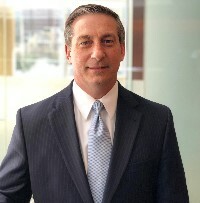 His extensive experience includes private placements of equity and debt securities, execution of sell side and buy side M&A transactions, fairness opinions and valuations, public equity and debt underwriting, and strategic board advisory services. In 2004 Mr. Montalbano established Energy Capital Solution’s Houston office which he led until 2011. Prior to rejoining Energy Capital Solutions in 2018, Mr. Montalbano was Senior Managing Director of the US Energy Investment Banking practice at Ernst & Young (“EY”) where he led the successful closing of numerous M&A transactions for U.S. and international clients. In addition, Mr. Montalbano also held investment banking roles in the oil & gas group at Raymond James & Associates and Johnson Rice & Company, and was an aeronautical design engineer at General Dynamics. Mr. Montalbano holds a Chartered Financial Analyst designation. He earned a BS in Aerospace Engineering from Mississippi State University and an MBA from The University of Texas at Austin.